Autocross (Auto X) in case you called it Auto “X” is one of the best ways amateur drivers can learn the limitations of their car, and professional drivers to hone their skills. Globally it's a sport that quickly growing in popularity because of the accessibility of it and here in Barbados, we are happy to have our own community of Autocrossers. Autocross is a motorsport that is conducted in enclosed areas like parking lots or sections of racetracks in this case. Courses are constructed with cones, placed in boxes, if the cones are hit or moved from their boxes then a penalty is added to your course time. It’s pretty straightforward. Cones point for slaloms left or right, and hairpin turns. On the day racing, a course is made and the drivers have a short recce on foot. After which they complete a couple runs of the course to find out their average times then they are placed in brackets. 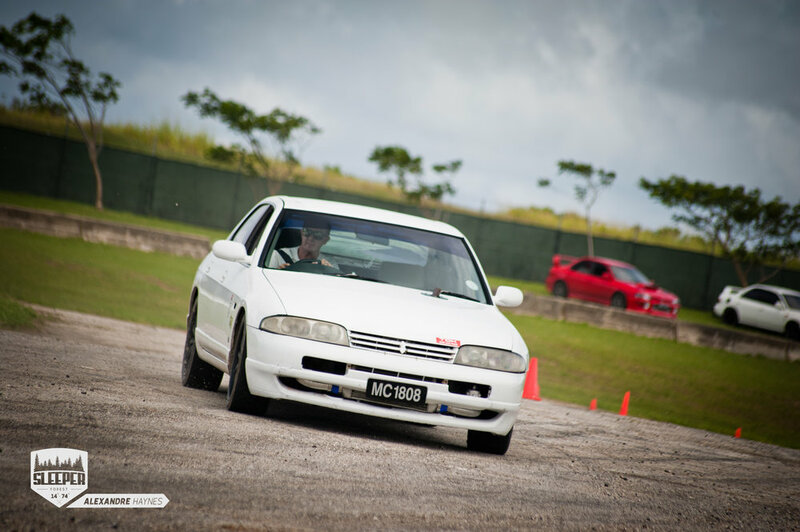 Autocross events occur at “Vaucluse Raceway” under the supervision of the Barbados Rally Club. Starting Autocross is pretty easy, being part of a racing club is not required. As a beginner, you would pay a small insurance fee. Once you your feet are wet, you can become either a temporary member or an annual member of the Barbados Motoring Federation (BMF) with a type C license. As a temp, you pay per event. Full members race in the full annual Championship. This is exactly why it’s growing in popularity, and why if you're an auto enthusiast who wants to experience some fun and a rush of adrenaline you should join! It's cheap and non-committal. Whether it’s your daily driver or your project, it’s the perfect time to drive and learn. Most drivers usually have a project car they are sinking some time in. As they start to outperform the car, they can gauge what upgrades they would want to go to with. It may be power increases, weight reduction or suspension etc. After going to a few events over the year, I have seen some vehicles undergo some changes, and it’s refreshing to see. Despite the mechanical issues that come with a project car, gaining experience in repairs and tuning is too good to pass up at Autocross. Understanding your vehicle at higher speeds is completely different to learning your vehicle at lower speeds. Most things you learnt during the time you worked towards your license should be thrown out the window. Differing hand positions, throtle and gearing habits are all part of the change. Fortunately, for persons starting out, we have some professional drivers who take the time out to teach, Christopher "Teach" McFarlane is one of them. The learning curve for Autocross may be a little steep, but once you get the hang of it, it's incredibly rewarding! Pitting drivers against each other in friendly close, tight tracks push drivers to be better, builds sportsmanship and increases experience behind the wheel. The building blocks of starting a driving career. If I wanted to be a better driver, I know where I would be on weekends. Go check out the official results of the Annual Championship HERE, Congratulations to Christopher Mcfarlane as well for his sweeping victory, take a look at some footage below!